Luis Suárez's career at FC Barcelona has been full of goals, 132, to be precise. Thanks to his latest strike against Levante in the 3-0 league win the Uruguayan now lies seventh in the club's all-time top goalscorer chart, overtaking Samuel Eto'o. The striker opened his account for the club on 25 November 2014, against Apoel in the Champions League. Since then, he has been unstoppable in a Barça shirt, including winning his second Golden Shoe honour as the top marksman of the season in the 2015-16 campaign. 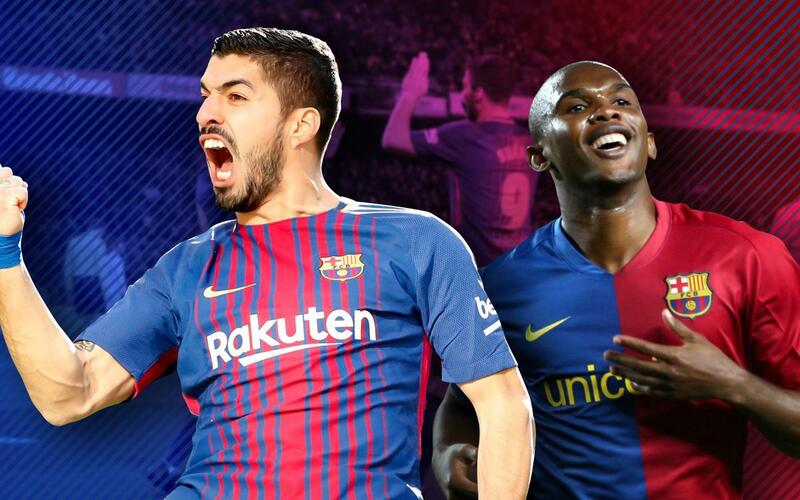 Eto'o, the previous seventh top scorer for Barça in official games, had a highly successful five years at the Camp Nou, finding the net 131 times and winning multiple La Liga, Champions League and cup trophies. In front of Luis Suárez in the all time list remain legends such as Ladislao Kubala (194), César Rodríguez (232) and of course Lionel Messi who remains FC Barcelona's top goalscorer in history with 527 after his goal in the 3-0 over Levante also.